For the seventh time, Evansville will host the Theodore Robinson Plein Air Competition. And, for the sixth time, people are wondering just what the competition is all about. With a little luck, we can answer some of your questions here. Why have a local art competition and show? After last year’s show twenty of the paintings from the competition were hung in the gallery at Creekside Place and the Third Grade classes visited to see the paintings and then to visit some of the sites on their way back to school. Their young minds immediately realized that their home town was worthy of being art, that art was not just about the old or the faraway. Those eight year-olds came to understand that they could be artists here, where they are growing up. That notion of local relevance in art is important for all of us. This show gives all the residents of the Evansville area a chance to purchase art that reflects their daily lives. All painting must be done during the week of the contest within the boundaries of the Dane and Green County lines, CTH A on the south and the Rock River on the east. 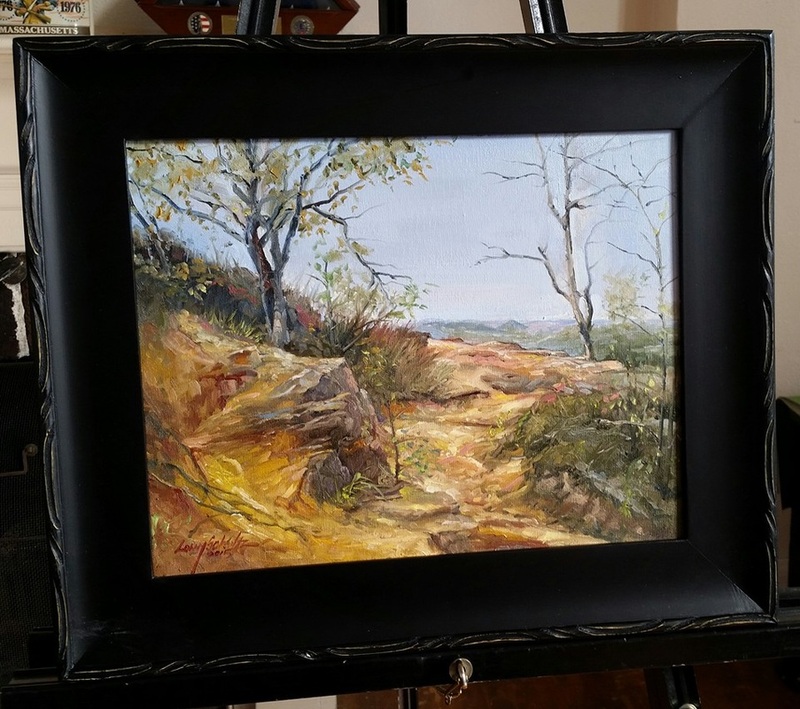 Just exactly what is Plein Air painting? Webster offers two definitions: 1: of or relating to painting in outdoor daylight 2: of or relating to a branch of impressionism that attempts to represent outdoor light and air. All the paintings in the competition will be painted out of doors in the Evansville area between September 28 and October 7. 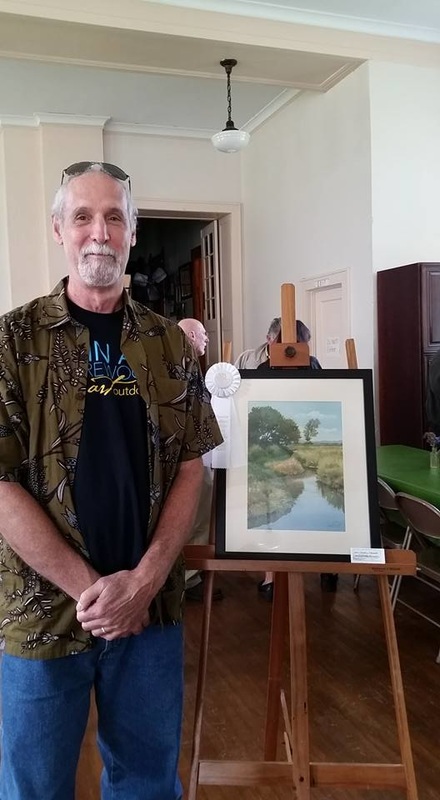 Most plein air painting is in the style of the Impressionists and this contest is named in tribute to one of the best of them, local artist, Theodore Robinson. So, who was Theodore Robinson? Theodore Robinson was an American painter best known for his Impressionist landscapes. He was one of the first American artists to take up Impressionism in the late 1880s. He was born in Vermont. His family moved to Evansville. He studied art in Chicago and New York before moving to Europe. Robinson lived in Giverny, France, a creative center of Impressionist art, near Monet for eight years. He returned to the United States in 1892 and lived and taught in New York City. In 1896 Robinson died at age 43 of an asthma attack. He is buried here in Maple Hill Cemetery. The event presenters; Evansville Community Partnership, the Theodore Robinson Society, and the Friends of the Eager Free Library, have invited artists from Evansville and all of Wisconsin to paint in the outdoors around the city for more than a week. Then, on October 7, promptly at Noon, the doors of Emma's Table at 104 W Main St will open and the public will be invited in to see and purchase the works. The winners will be announced at Noon and the paintings will be on sale until 3 pm. The artists are vying for prizes for their work. The organizers will award $1000 to the painting judged best overall, $500 for Second Place, and $250 for Third. You can be involved in several ways. Stop and watch the artists at work. Many of them will gladly explain what they are doing and how they are doing it. Second, you can volunteer. The organizers need two or three people to help with refreshments and traffic control on Sunday, October 7. Just contact Jim at ECP. Information is in the last paragraph. Lastly, and most importantly, you can come to the John M Evans Hall between Noon and 3 pm on Sunday, October 7 to see the artworks, meet the artists and maybe purchase one for your very own. A portion of the funds raised by sales of the artworks stays in the Evansville to support local programming. The painting will take place between Friday, September 28 and October 7. The show and sale is Noon to 3 pm on October 7. Select paintings from the event will be on display at Creekside Place from October 8 until mid-November. For more info please contact Jim Brooks, ECP Executive Director, via phone at 608/882-0598 or by e-mail at ecpi@litewire.net. They have a word for it, you know. In Italian they say al fresco when they dine outdoors. When people paint outdoors, the French say they are en Plein air, in the open air. The tradition of painting landscapes in the open air returns to Evansville as the Sixth Annual Theodore Robinson Plein Air Competition is held from September 22 to October 1. Artists will paint in and around Evansville for a week and then present the paintings for you to see and purchase on the final day. More than two dozen painters from around the state and from northern Illinois will compete for the First Prize Ribbon and $1000 for the painting judged best by a panel of expert judges. Cash prizes will be awarded for Second and Third Place as well. The paintings will be for sale to the public at a closing event at the John M Evans Hall, 104 West Main St in Evansville starting at Noon on October 1. The Impressionists popularized painting in the out of doors in the 1870’s as equipment and paints made it easier to venture afield in search of the best light. The Evansville participants will be allowed to paint anywhere in a box enclosed by the Dane and Green County lines, CTH A on the south and the Rock River on the east. Popular subjects in years past have been the homes in the historic district, Lake Leota, Weary Road, and Magnolia Bluff but there are no other limits on the choice of subject. The judging will be held at the John M Evans Hall on Main Street in Evansville on SUnday October 1 with doors opening to the public at Noon. Each artist will present one painting done during the week in the area for judging and will have other works available for sale to the public. The closing sale provides an opportunity for you to own quality original artwork created by local artists. Paintings from the competition will be moved to the Andrew Gallery at Creekside Place where they will remain on display for several weeks and where they may be purchased if you choose. More information is online at www.ecp-wi.org .or contact Jim Brooks, ECP Executive Director, via phone at 608/882-0598 or via e-mail at ecpi@litewire.net.